This user port sound cart was designed by my friend and long time ally in pushing forward Commodores in digital media. Vanessa Ezekowitz, of Digital Audio Concepts. 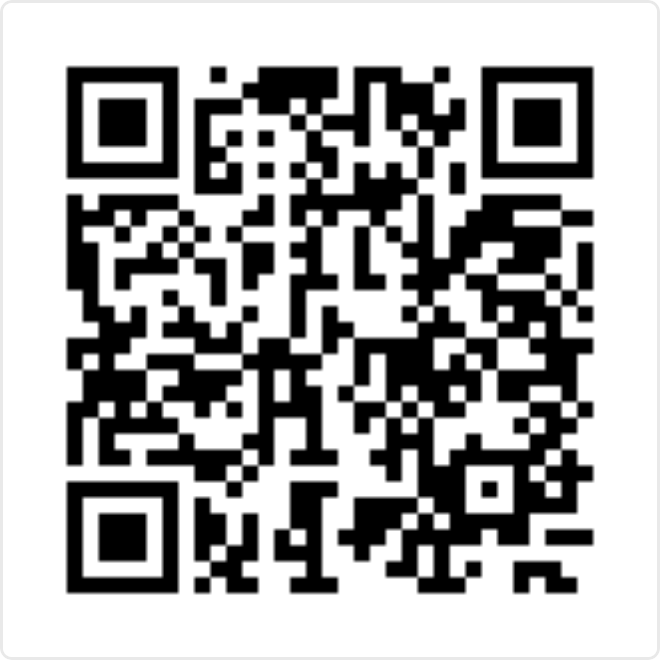 There was a time when I counted myself amoung the group members of Digital Audio Concepts. A quick web search of Greg/DAC will surface my name with the DAC label attached to it. In fact, I am apparently still listed as a group member according to the Commodore Scene Database. That was a lifetime ago. But I still feel a special connection to these fine folk, and to this particular board. Of course, I own one of the official boards, distributed by Shareware Plus, it along with the 8-Bit Stereo Sampler were some of the first pieces of C64 kit that I purchased upon my return to the scene in 2016. Before that, I have a long history with early prototypes of the board. The one I always brought with me to demo my WiNGs digital media software projects was literally a prototyping breadboard with the original chip, the MAX505 from Maxim. This chip has since been replaced in the official product by the similar but less expensive TLC7226CN from Texas Instruments. This little board plugs into the User Port, and hooks up a quad 8-Bit DAC (Digital to analog converter) and outputs stereo audio to a standard mini jack. 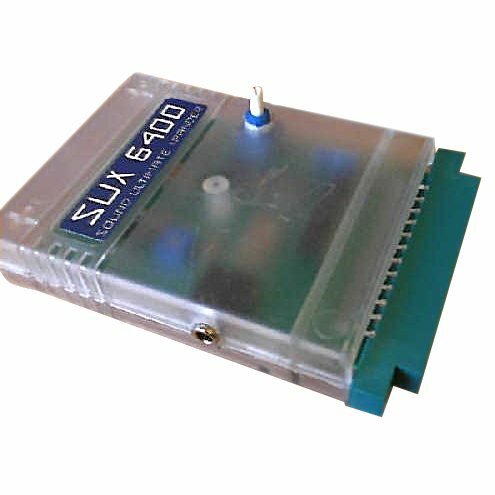 When we were working with prototypes back in the early 2000s it was common wisdom that the SID chip was only capable of producing 4-bit mono digis. That always left quite a lot to be desired. I was pleasantly surprised when I showed up at World Of Commodore 2016 to see the Wonderland XIII demo playing, and blaring amazingly clear digital audio. In the intervening years, those clever demo coders have figured out techniques to coax 8-bit mono digis out of the SID. 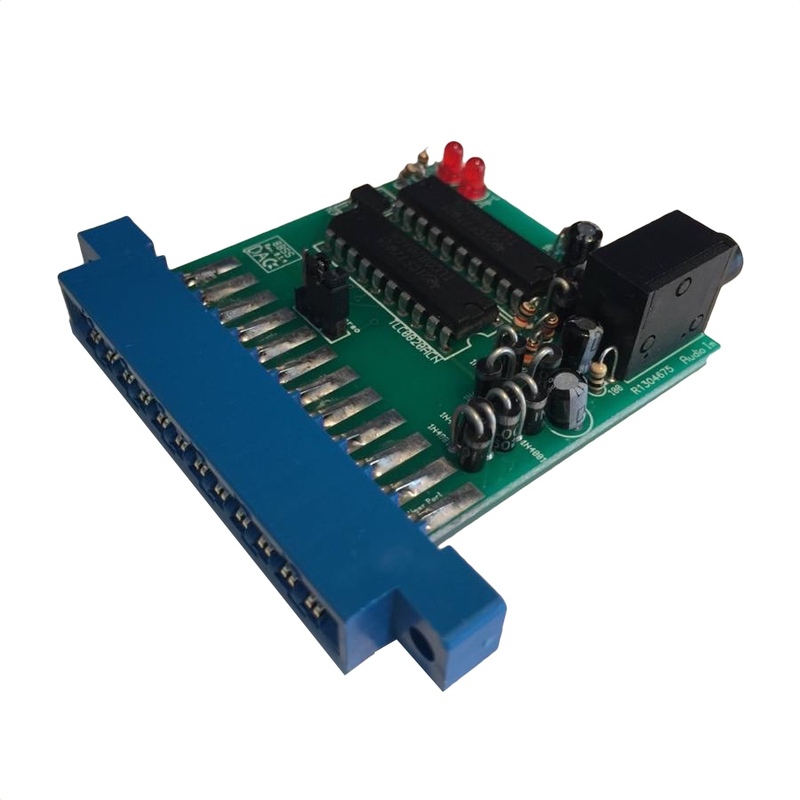 However, doing so with the DigiMax is much more straightforward, plus you get stereo output, and this board can be used in conjunction with the SID. 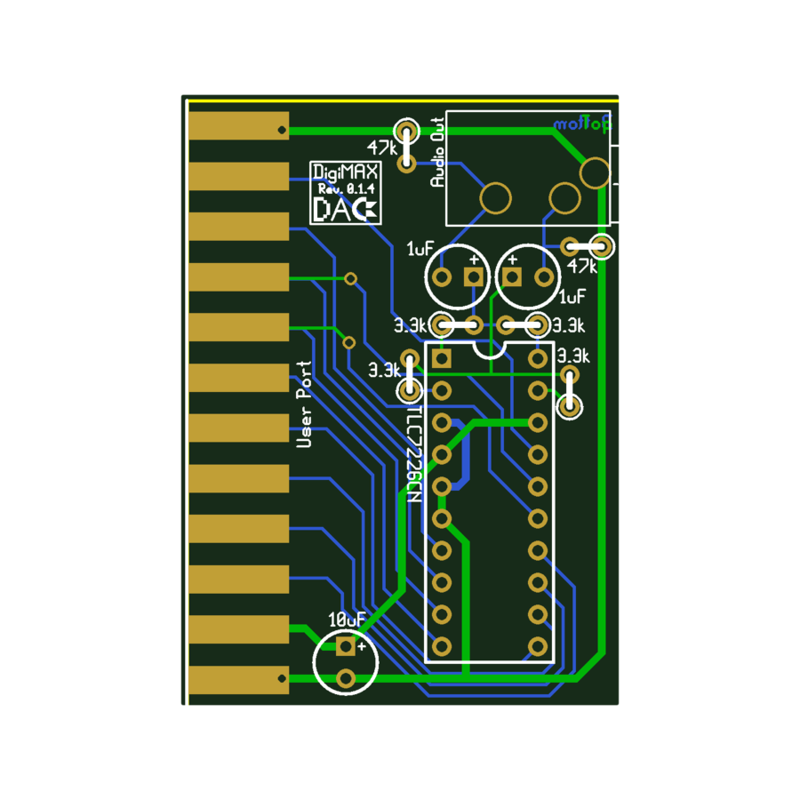 Despite the C64 being able to do 8-bit audio with various methods, I always thought it could use a proper 8-bit DAC, if for no other reason than to eliminate the extra CPU time those methods take, so I created the DigiMAX. The original hand-wired prototype is somewhere unknown, but I did find a copy of the schematic buried among the documents on my CMD HD. It was a snap to re-create with proper schematic capture tools, and this time it is based on a somewhat cheaper version of the chip the prototype used. 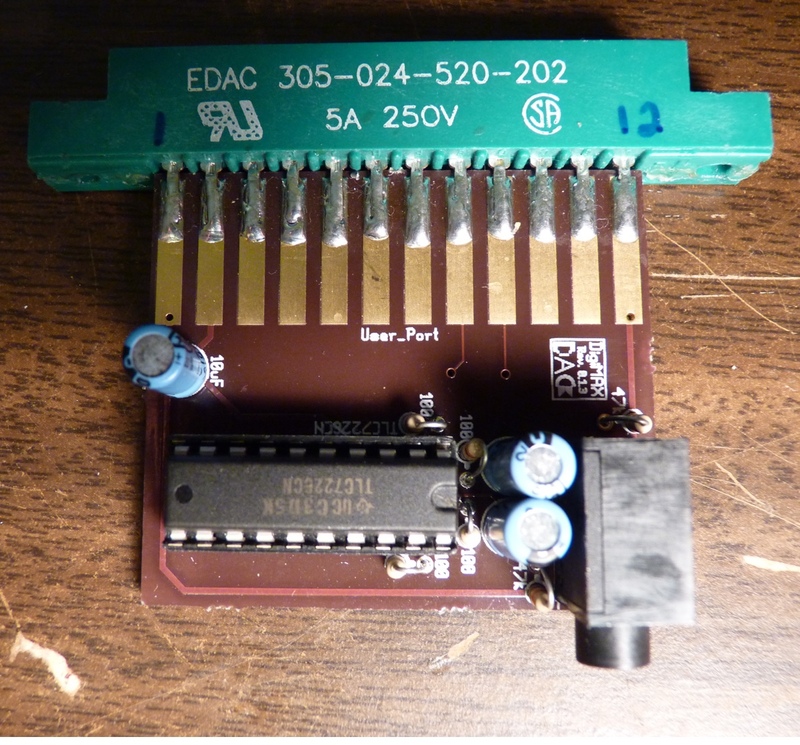 The original prototype was directly wired to female a user port connector (two legs of the chip were actually soldered directly to of the edge connector's mounting pins). Board layout and schematic updated to v0.1.4 (Couldn't get any audio -- fixed by changing the four 100 ohm resistors to 3.3k and the two 10uF caps next to them to 1uF. Also replaced User Port footprint with a lower-profile version to shrink the board). The board is based on the TLC7226 whose pinout can be seen to the side. 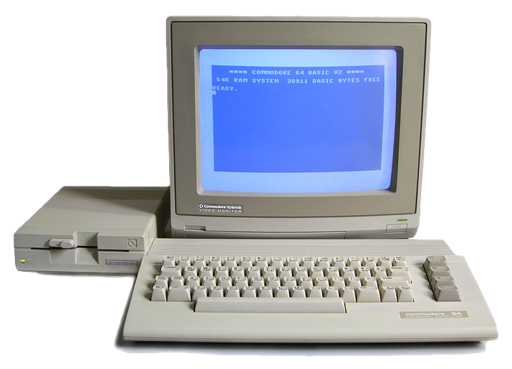 It has 2 address lines for addressing the 4 DACs, and a write signal line and 8 data lines for writing to it a byte at a time via CIA2's Port B. 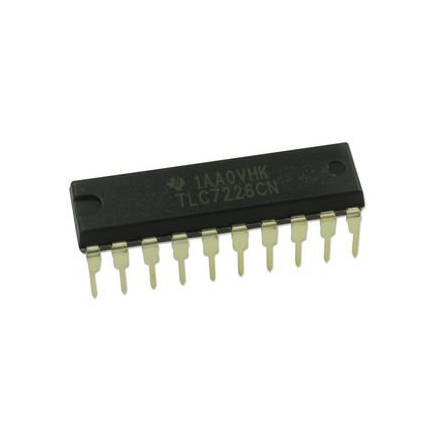 The TLC7226C, TLC7226I, and TLC7226M consist of four 8-bit voltage-output digital-to-analog converters (DACs) with output buffer amplifiers and interface logic on a single monolithic chip. Separate on-chip latches are provided for each of the four DACs. 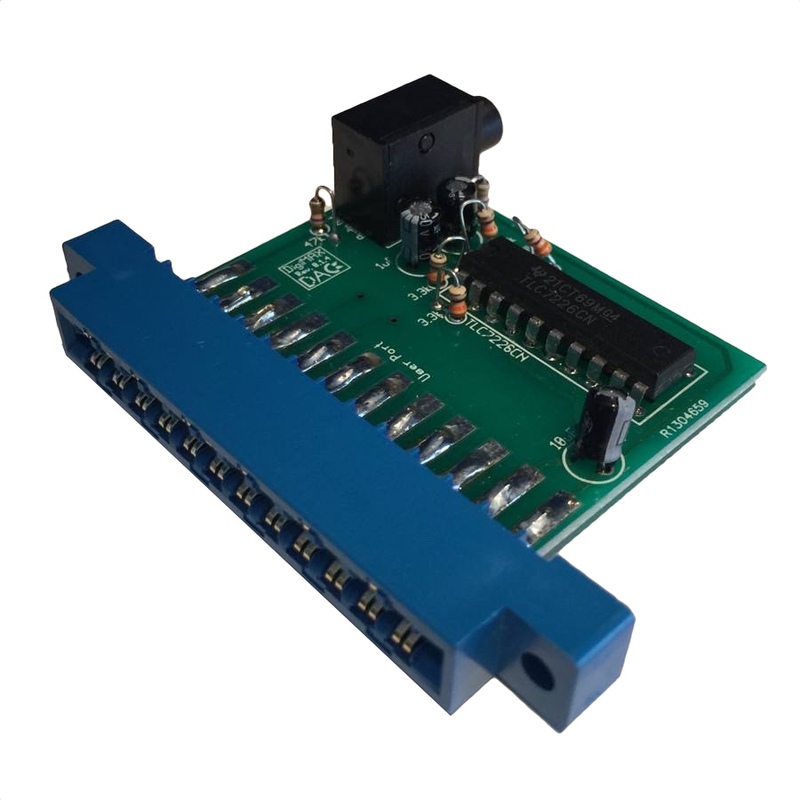 Data is transferred into one of these data latches through a common 8-bit TTL/CMOS-compatible 5-V input port. Control inputs A0 and A1 determine which DAC is loaded when WR goes low. The control logic is speed compatible with most 8-bit microprocessors. Here it is, in a custom case, and in action.